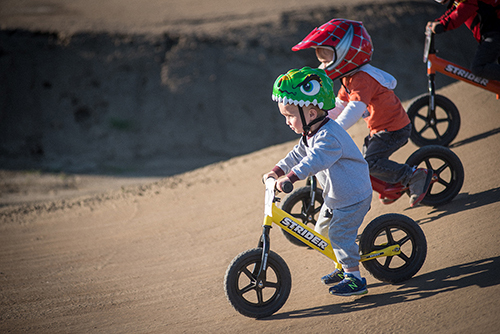 Strider Bikes are the #1 selling balance bike for toddlers because of the passion behind the bike. 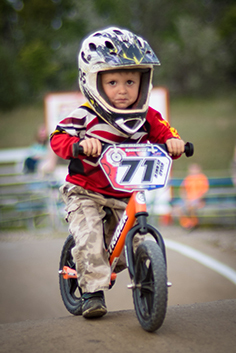 Strider Bike races are fun, positive experiences for the entire family that will entertain your toddler and give them the opportunity to be part of a growing community of riding enthusiasts! They will be making new friends while they become more proficient at balancing, riding and racing against children their own age. And you get to support and cheer them on! Ready to find an event near you? First try checking our Strider Events Calendar. Don’t miss the opportunity for your child to gain both a sense of pride and self confidence in a matter of hours. The strider track located east of the concessions is open for practice every Race & Practice night at anytime. 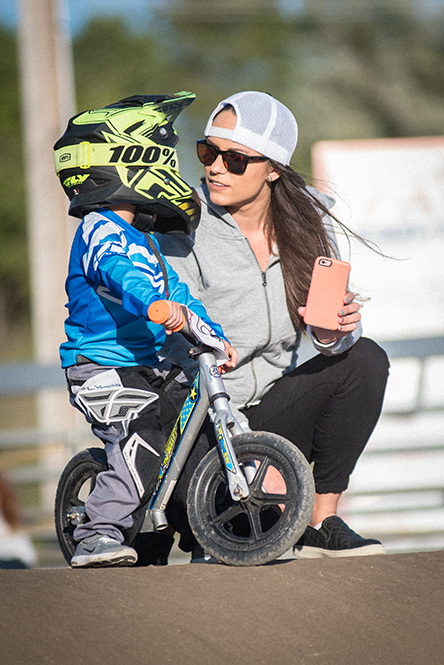 For your toddlers safety we do not allow them out on the main track while older riders are practicing. We do have special practice times for them and will be announced before race time. The strider riders are always the first couple motos and they race on the first lane. They will have 3 consecutive motos with their age group. During race season May-Oct, striders race every Monday & Thursday evenings at 7pm. You will need to register them anytime from 6pm-7pm. Striders do need to purchase a $30 USABMX Membership that allows them to race at any track for a year. There is also a small race fee each night of $3. Not sure how your toddler will react? No problem! Their first race night is FREE! Contact Jamy Mills at 400-5909 for more information.